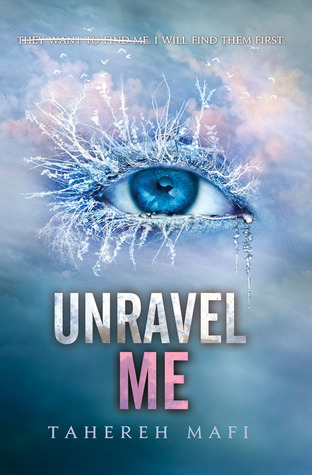 My teaser today is from Unravel Me by Tahereh Mafi. I thought I'd lost the bird, the white bird, the bird with streaks of gold like a crown atop its head. It used to meet me in my dreams, flying strong and smooth, sailing over the world like it knew better, like it had secrets we'd never suspect, like it was leading me somewhere safe. Great teaser! I love Tahereh's writing style. I've been very curious about this series and have been planning to read Shatter Me forever. Hope you like it! Oh wow, intriguing teaser, I want to know more! I haven't started this series, I really need to! Here's my TT post! I can't wait to start this series. It sounds really exciting and good! Also I adore the covers. :) Pretty!